Saturday August 29, 2009 will be a very special day for 4 veterans of the Iraq war. A graduation ceremony will take place at the Berthoud Community Center in Colorado for veterans who have completed an intensive two week training course with new service dogs. 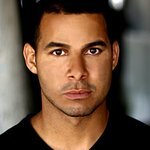 Jon Huertas will be attending the graduation as is only fitting for the 8 year U.S. Air Force vet known for his role on the hit T.V. show “Castle”. There are several elements which make this graduation ceremony special. The first is the service dogs. Each dog has been in the Puppies Behind Bars’ Dog Tags: Service Dogs for Those Who Served Us program. These dogs are raised by prison inmates who train them to detect explosives and become service dogs for those suffering Post Traumatic Stress Disorder (PTSD) and Traumatic Brain Injury (TBI). Each dog will be placed with a wounded veteran from Operation Iraqi Freedom and Operation Enduring Freedom. Veterans of these conflicts often suffer from invisible wounds such night terrors, panic attacks, nightmares, flashbacks, depression and other debilitating psychological symptoms. Pax, the first Dog Tags puppy, was placed with Army veteran Sergeant Bill Campbell in February 2008. Since then 15 other canines have been placed with veterans and twenty more are expected to be paired by the end of 2010. 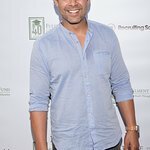 Jon Huertas will attend the graduation to honor his fellow veterans and congratulate them on the completion of this rigorous training program. After serving in conflicts around the world from Iraq (Desert Storm), to Panama and Granados, Huertas is dedicated to improving the lives of wounded veterans.